Never in a million years would I have thought this “Yankee” girl would be craving Collard Greens and Bacon, but it happened a few days ago. This is the very simple, and delicious, result! 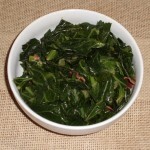 *If you use fresh collards, clean, and remove stems. 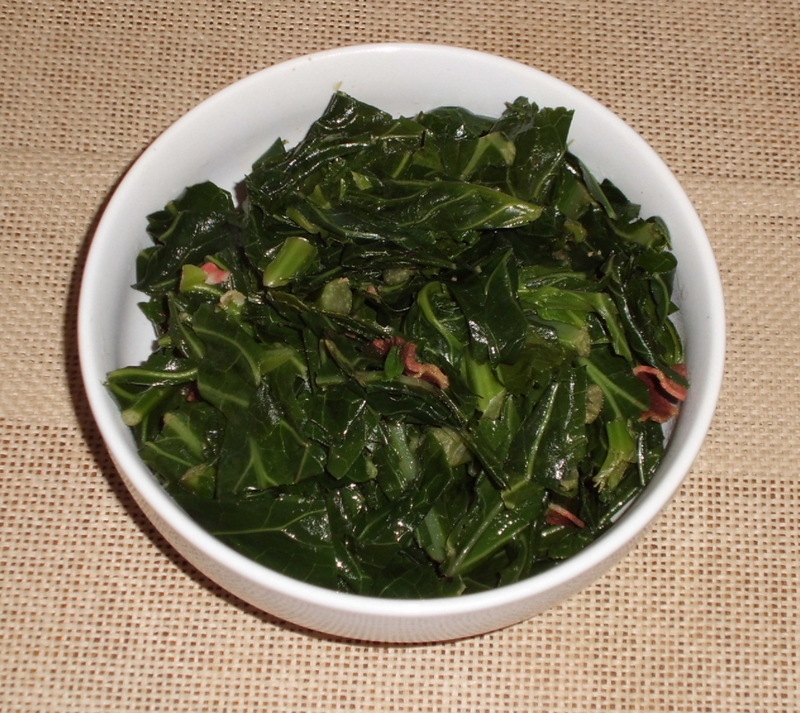 If you use bagged collards, just remove the tough stems. The rest will cook through. Sautee the bacon according to the direction on the package until almost done. Add a little oil for the last minute or two in order to give the oil a “smoky” flavor. Remove bacon to a plate and when cool enough to handle, break into pieces. Add some of the broth to the pot (careful of the oil), and when hot, add the collards. Cook until tender, adding more broth as desired. Return bacon to the pot, season with vinegar and/or hot sauce, and salt & pepper. Eat as a side, with rice, or over a baked potato. Really good hot or at room temperature.